A Tibet advocacy group in Washington DC has encouraged the US Government to invoke visa bans for Chinese officials who commit human right abuses in China and Tibet as a preventive measure. The International Campaign for Tibet, a prominent Tibet advocacy group based in Washington DC, has urged the US government to include Chinese leaders among those individuals restricted to enter its territory. “The U.S. government can send a clear message: if Chinese officials violate the human rights of the Chinese and Tibetan people, they can’t visit the United States,” said Matteo Mecacci, President of the group. The US government announced travel restrictions to the United States by some government officials from Venezuela allegedly responsible for human rights abuses. “With this step we underscore our commitment to holding accountable individuals who commit human rights abuses. While we will not publicly identify these individuals because of visa record confidentiality, our message is clear: those who commit such abuses will not be welcome in the United States,” US State Department Spokesperson Marie Harf said. US President Obama issued an Executive Order that, in part, denies visa entry to “perpetrators of serious human rights abuses or humanitarian law” in 2011. Visa bans are applied to violated human rights in Uganda, Iran, Burma and North Korea, among other countries. A bill to promote access to Tibet, where China has imposed travel restrictions for foreigners, was introduced in June in the US House of Representatives by Reps. Jim McGovern (D-MA) and Joseph Pitts (R-PA). The bill, H.R. 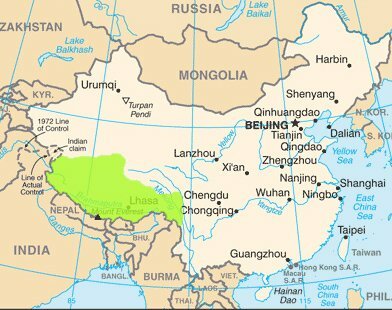 4851, is called the Reciprocal Access to Tibet Act. The bill, ICT said, gives leverage to the US to promote the ability of US citizens to travel to Tibet.